One of Seattle's greatest structural achievements will be getting a new name. Safeco Insurance had the naming rights to the retractable-roofed ballpark for nearly 20 years. The early days of Safeco Field were magical. Ken Griffey, Jr., Edgar Martinez and Alex Rodriguez were still together. Griffey only played on season at Safeco after it opened until he came back in 2009. After A-Rod left for a big stack of millions, Ichiro won Rookie of the Year and AL MVP on route to a record 116 wins with the Mariners in 2001. T-Mobile will be getting the naming rights starting with the 2019. 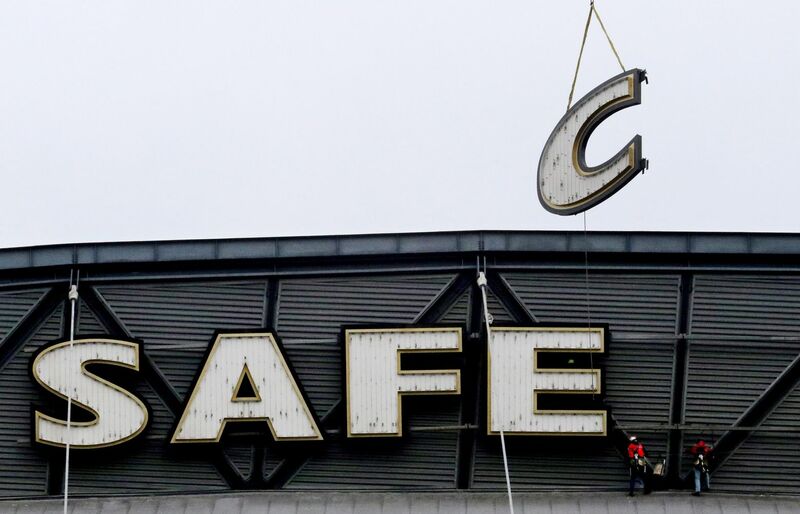 News broke last year that the Safeco Field name would not be sticking past 2018. The lettering started coming down earlier this year. T-Mobile also sponsors the Home Run Derby and has the naming rights to the Las Vegas Golden Knights' rink. The deal was rumored to be worth $6 million annually but it's more likely to net closer to $3 million.